Copious large yacht features ingeniously fitted within a manageable owner/operator framework – this is the cornerstone of the new Horizon V68 motoryacht model. 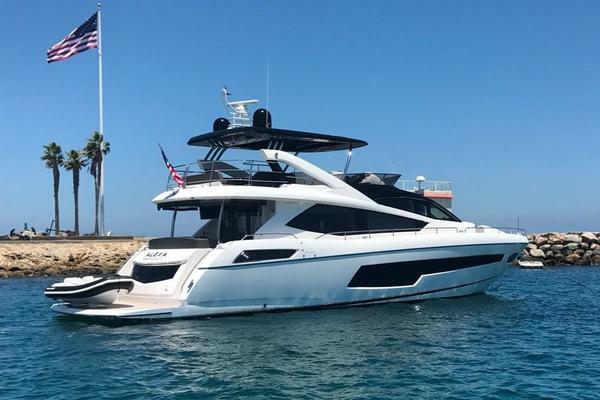 Created in collaboration with world-renowned designer Jonathan Quinn Barnett, the V68 has been planned throughout with spacious accommodations, wide side decks, and a voluminous interior on a 19’6” that takes advantage of large windows in the main deck and cabins. 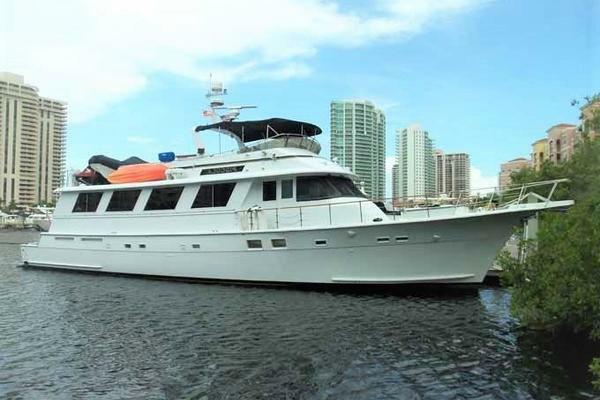 She offers a flexible three or four stateroom layout, with optional crew quarters aft, as well as various configurations for all three decks including open and enclosed bridge. The V68’s plumb bow design – a striking feature from Stimson Yachts’ hull design – allows for a longer waterline and reduces drag at lower, displacement speeds; the larger hull beam also makes for greater stability when it counts most. 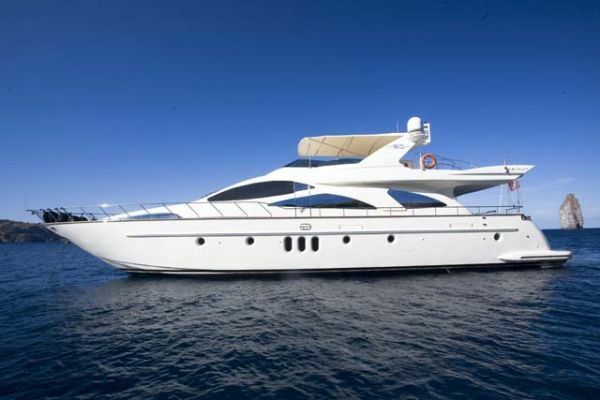 Ideal for first or second-time buyers, families and owner/operators, the Horizon V68 luxury motoryacht provides the qualities of a superyacht – safety, solid architecture, and customization – all in under 70 feet.